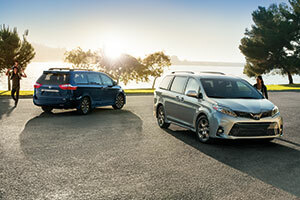 If you are in search of a spacious and versatile new family vehicle that can accommodate up to eight passengers, then you need to see Toyota's latest Sienna minivan. With its roomy interior, smooth ride, a plethora of convenience features and impressive fuel economy ratings, the 2018 Sienna will certainly have you thinking twice about driving a gas-guzzling full-size SUV! Drivers and families near Prairieville and Central, LA who are invited to visit All Star Toyota of Baton Rouge, in Baton Rouge, LA to discover this family-hauling new Toyota minivan up close. Shop for your family's new Toyota Sienna in Baton Rouge, LA by shopping our online inventory before your visit to our Toyota dealership. 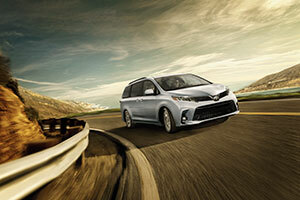 Let's review some of the reasons that families choose the new Sienna over SUVs or other minivans. It is tough to top the versatile seating and cargo options and well-appointed cabin of Toyota's 2018 Sienna. 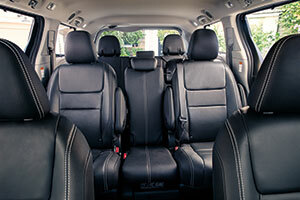 After all, the 2018 Sienna can even be furnished with second-row captain's chairs that improve entry and egress for second and third-row occupants. Tri-zone automatic climate control and a multitude of cupholders come standard in Toyota's minivan and only add to the feeling of complete comfort and convenience for all passengers. Toyota's Entune audio systems are also offered on the Sienna in a range of versions, including a premium unit with integrated navigation. When you drive the 2018 Sienna from Toyota, you will discover that power, capability and fuel efficiency all come standard. The Sienna's 3.5-liter V6 engine develops an exceptional 296 hp and 263 lb-ft of torque and is coupled with a smooth, 8-speed Direct Shift automatic transmission for enhanced efficiency and effortless acceleration. Drivers will find that the Sienna minivan is surprisingly powerful and sips fuel, especially compared to much of its minivan and SUV alternative! If you are seeking the unrivaled convenience features of a minivan (like dual power sliding rear doors), but want the all-weather traction of an SUV, know that the Sienna is the only minivan in its class that is available with all-wheel drive (AWD). Thanks to its standard V6 engine, 8-passenger seating, smooth ride and available AWD, the Sienna should be high on your list as your next family vehicle! Prairieville and Central, LA area drivers and families can experience the spacious 2018 Toyota Sienna at All Star Toyota of Baton Rouge today. Before you visit us for a test drive of a new Toyota like the Sienna, you can see our current Toyota lease offers or apply for financing here on our website. Contact All Star Toyota of Baton Rouge today to get into a new Toyota at a low price!